Dr. Holden is a Diplomate of the American Board of Pediatric Dentistry. She also graduated with honors from USC School of Dentistry. She is a member of the American Society of Dentistry for Children, The California Society of Pediatric Dentistry, The California Dental Association, The American Society of Pediatric Dentistry, and the USC Pediatric Dental Alumni Association. Dr. Holden and her husband, Joe, have two wonderful sons Chase and Blake. They have been blessed with their youngest son Blake who has special needs. As a mom and pediatric dentist, Dr. Holden created a toothpaste that has touched many children. It is called Tanner's Tasty Paste. They have 3 amazing flavors- Vanilla, Chocolate and Orange Vanilla. They are wheat and gluten free, non foaming and make brushing your children's teeth a fun experience! Our toothpaste has become a favorite to children who have not liked what is on the market. It has also made brushing easier for children with autism and sensory issues. Dr. Holden is approaching 15 years in practice. She graduated from USC in 1986 with a BS in Dental Hygiene. She worked as a hygienist in a pediatric dental office in Beverly Hills and found her calling. She went back to dental school at USC and earned her DDS in 1993. She completed her residency in Pediatric Dentistry at USC and Millers Children's Hospital as well as Children's Hospital of Los Angeles in 1995. 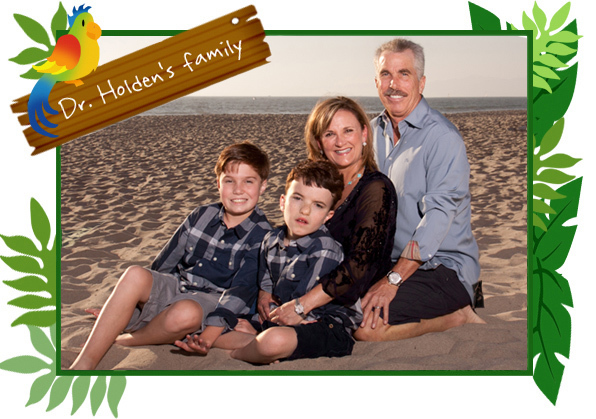 Dr. Holden started her private practice in Manhattan Beach in 1995 and have build an amazing jungle themed office in downtown Manhattan Beach at the Metlox Plaza. It is her dream for her patients to have a wonderful dental experience. Every room has a jungle animal theme from zebra to monkey. We have 2 family rooms that have 2 dental chairs in them so siblings can be treated together. Every room has a TV. The treatment rooms even have TV's on the ceiling. While children are waiting for their appointment they can play in the kids cave which has games from touch screens, XBox360 and play stations. There are 2 fish tanks with tropical fish in the waiting room and a tank in the middle of the office with swimming turtles and gold fish. We treat children from infants to teens and those with anxiety or special needs. 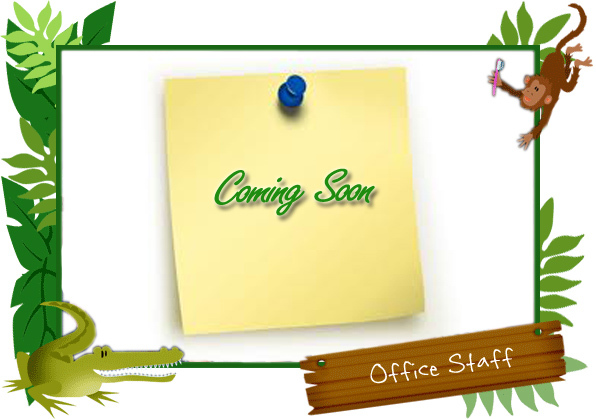 We want all children to feel at home in our office. All children leave with a new toothbrush, floss, stickers, goody bag and toy that they get to choose on the way out. Oh, and if your child stops sucking their thumb or gives up their pacifier they get to choose a ToysRUS toy! !